ST. PETERSBURG FL March 2, 2017 — Cruises are about relaxing and getting away, but being too relaxed or mishandling a travel insurance claim can cost travelers thousands. Leading travel insurance comparison site, Squaremouth, warns travelers of three mistakes that can invalidate their claim. Travel insurance typically does not cover an injury or illness that occurs while drunk during a cruise, even if that injury causes cruisers to return home early or miss upcoming excursions. “Your judgment is impaired when you’re drunk, so anything that occurs while you’re under the influence can be automatically excluded,” said Squaremouth Claims Director Brandi Morse. Travelers need to back their claim with medical documentation. If that documentation shows the incident occurred while they were drunk, their claim can be denied. There is risk of lost or stolen baggage on a cruise ship, just as there is with any other trip. In order to be covered, travelers should notify their cruise line as soon as possible. Providers can deny a claim for lost or stolen items if the incident wasn’t documented in a reasonable amount of time. Having the original receipts will also be an advantage during the claims process. Travel insurance offered by cruise lines is often designed to boost profits, not to provide comprehensive coverage for travelers. 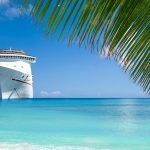 Because cruise lines can receive high commissions from their insurance underwriters, they often take away from the coverage provided. Cruise line travel insurance typically only covers the cruise portion of the trip. Any expenses purchased outside of the cruise line are usually not covered. Third-party travel insurance is designed to give travelers comprehensive coverage from when they leave home to when they return home, and can cover flights, hotels, and tours, along with the cruise.